Another terrace farmed valley, and the trekking trail rising from the river and crossing the farms. Add tags for "Another terrace farmed valley, and the trekking trail rising from the river and crossing the farms.". Be the first. 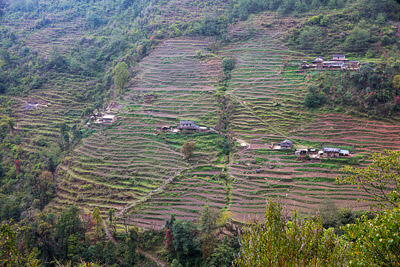 <http://www.worldcat.org/oclc/914470754> # Another terrace farmed valley, and the trekking trail rising from the river and crossing the farms. schema:about <http://www.worldcat.org/oclc/914470754> ; # Another terrace farmed valley, and the trekking trail rising from the river and crossing the farms.